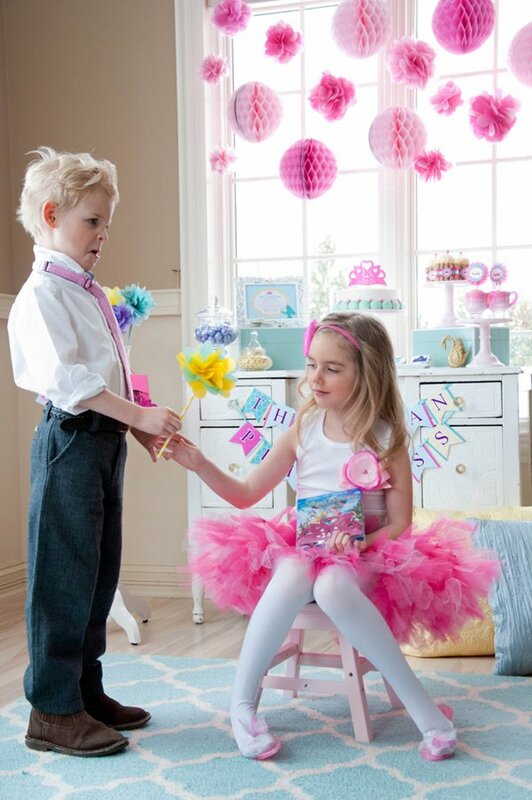 Maureen Anders of Anders Ruff here to share our recent Royal Swan Princess Party. 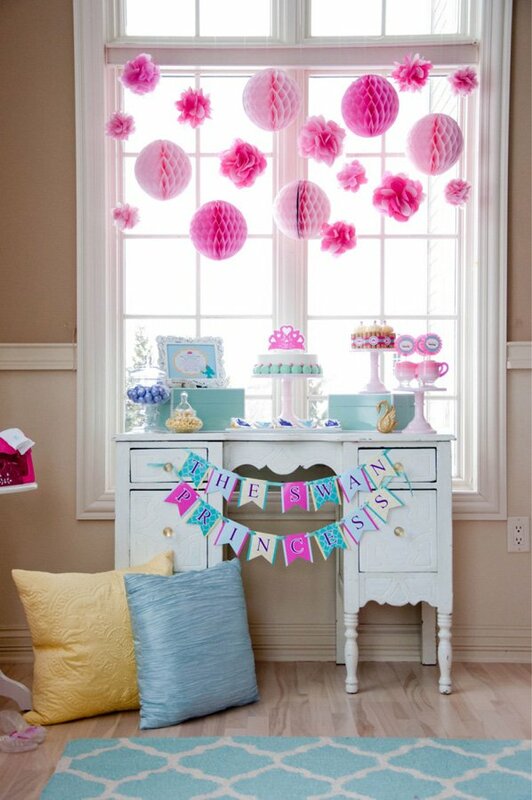 Bright and whimsical trellis patterns mixed with a gorgeous hanging backdrop and ruffle decorations help set the tone for a “royally” gorgeous princess party! 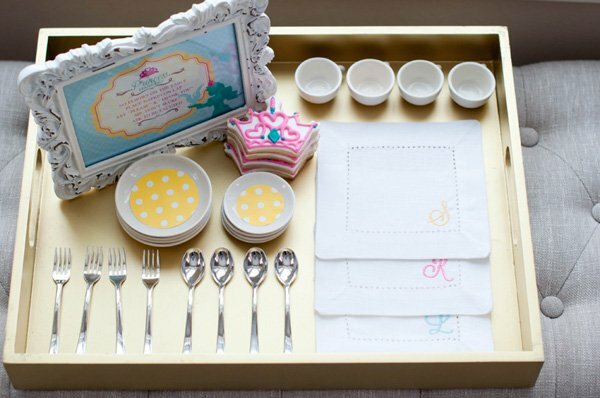 Place Setting Place mat to help the little princesses learn the proper way to set a table. 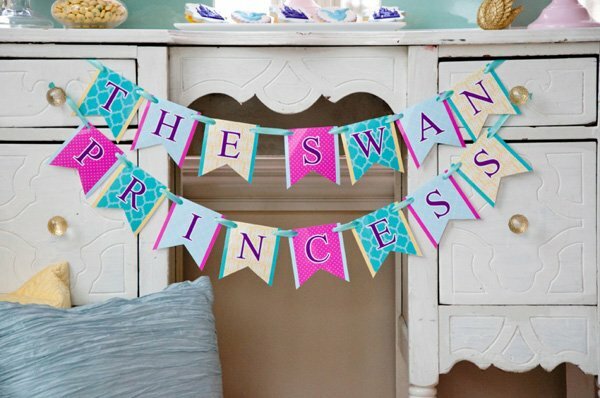 The Swan Princess – A Royal Family Tale movie came out on 2.25.14 and we couldn’t be more thrilled to celebrate with fabulous party ideas for you to host your own Swan Princess Party! 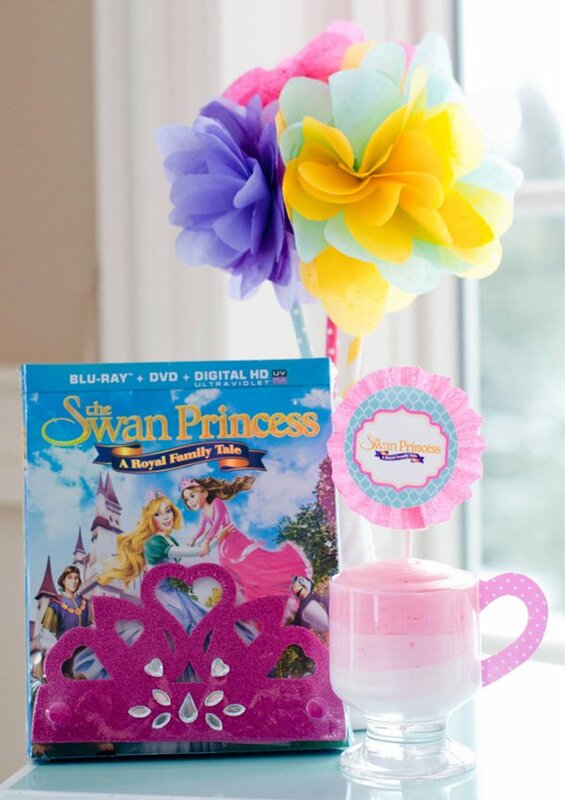 We loved sharing party ideas, recipes and tutorials for this Swan Princess theme at this party we styled for Sony Pictures Home Entertainment. 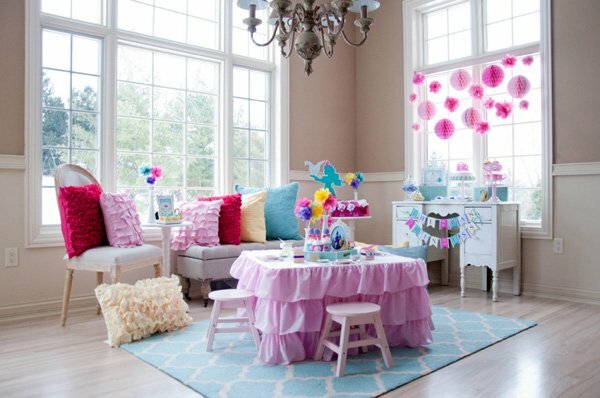 Chana Wood of Sugar Wood came to take professional photos of our styled Swan Princess party and we hope you love all of the party ideas! 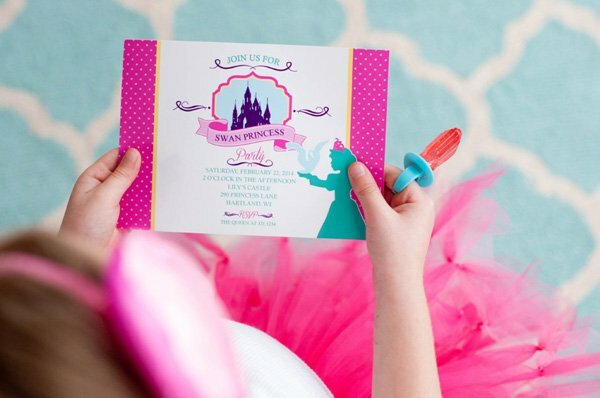 Set the tone for your event by letting the princess of honor invite her friends to a Swan Princess party with a customized Swan Princess invitation. 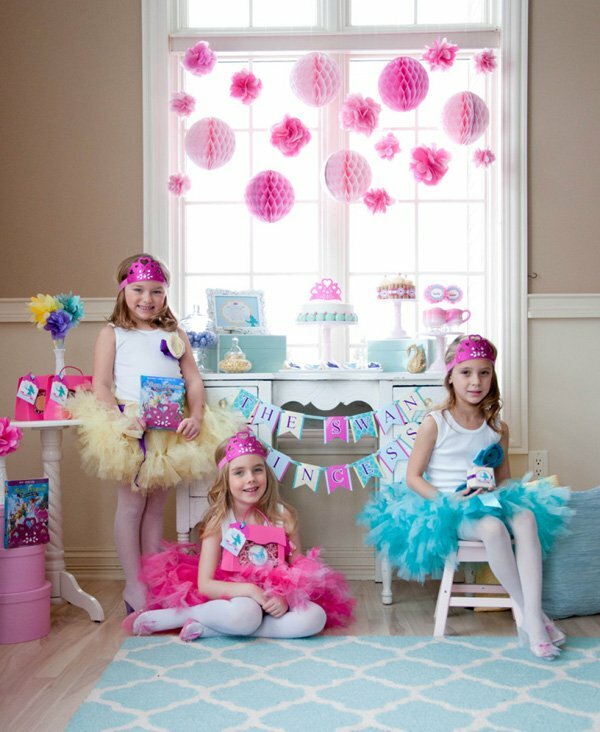 At our party, the girls got to really play the party and dress up in gorgeous tutus, tanks and hair accessories from Strawberrie Rose, enjoy a tea party with fun activities as well as enjoy yummy sweets and treats. 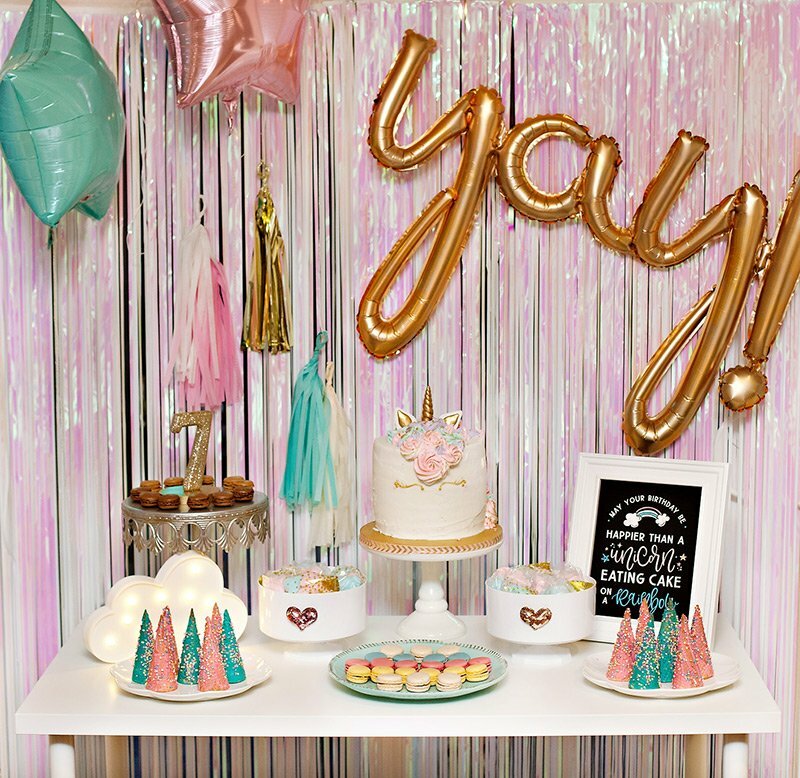 Speaking of treats, we had quite a few desserts and treat ideas for this party on display in the party room. 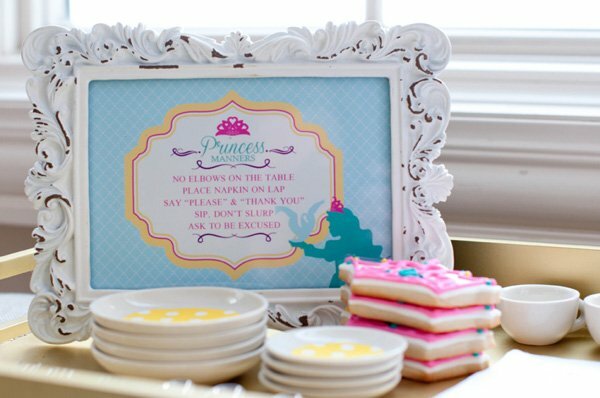 Every Princess Party needs a pretty cake! We used a store bought white cake (for under $15!) 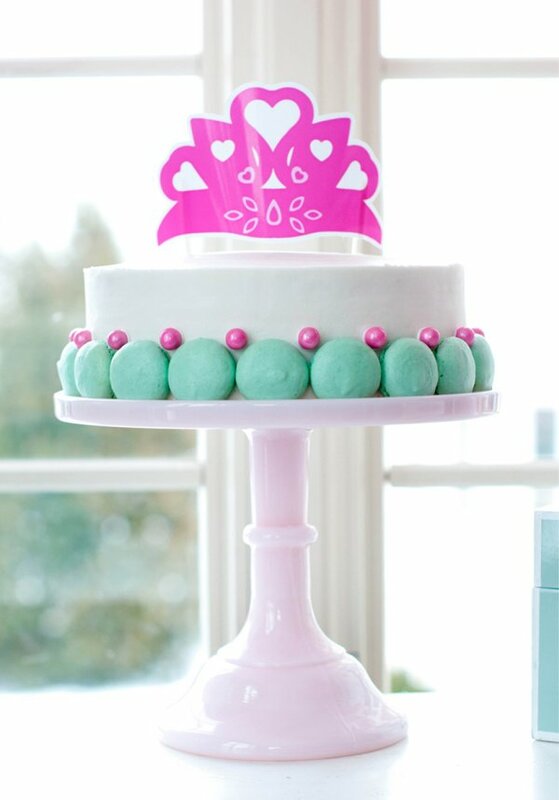 and dressed it up with a printable crown from the printable collection, and we lined the base with macaron shells and sixlets from Candy Galaxy. Even cupcakes like to get dressed for the occasion! We topped them with a macaron embellished with a pink bow, and wrapped it with a printable cupcake wrapper from our Swan Princess Collection. 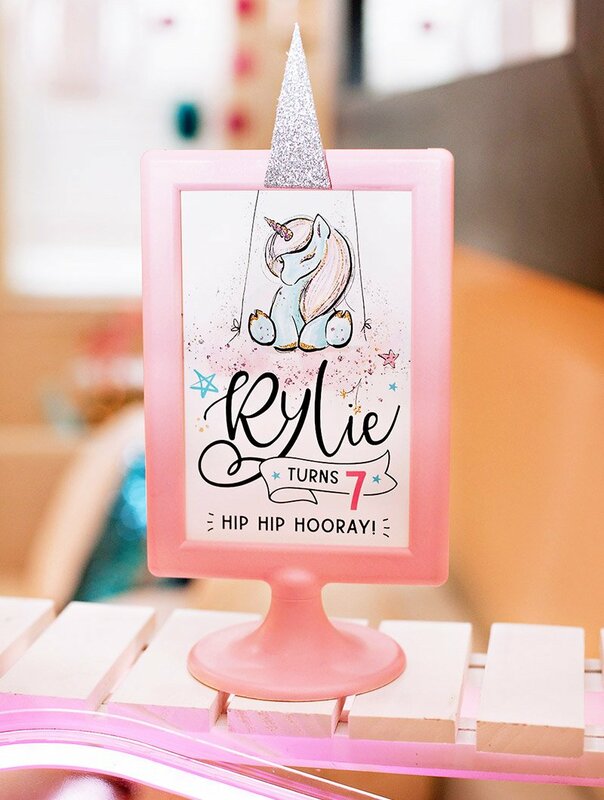 Our printables also include a tea cup handle design so that you can turn any cup or dish into a teacup, perfect for a Swan Princess Tea Party! 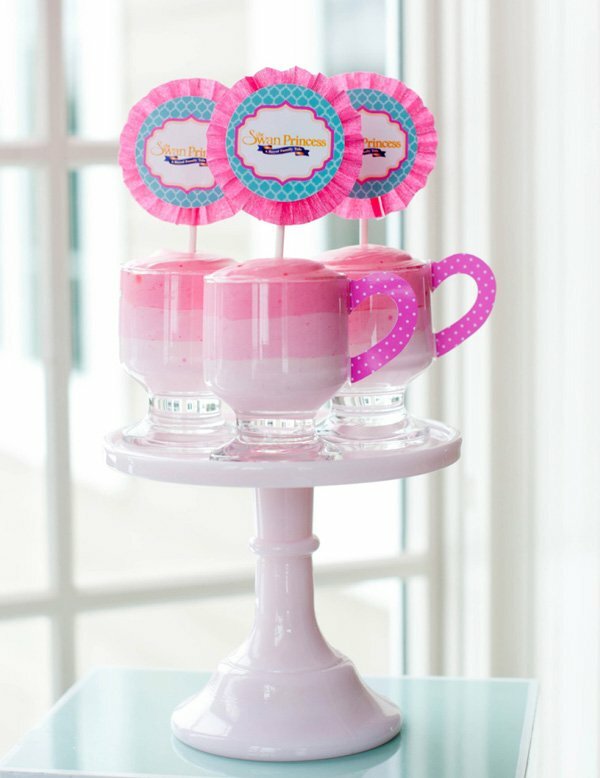 We created Ombre Mousse Tea Cups by using layered pink colored mousse in different shades in a glass cup, and topped it with a printable cupcake topper. It looked so pretty and royal and the kids LOVED it! 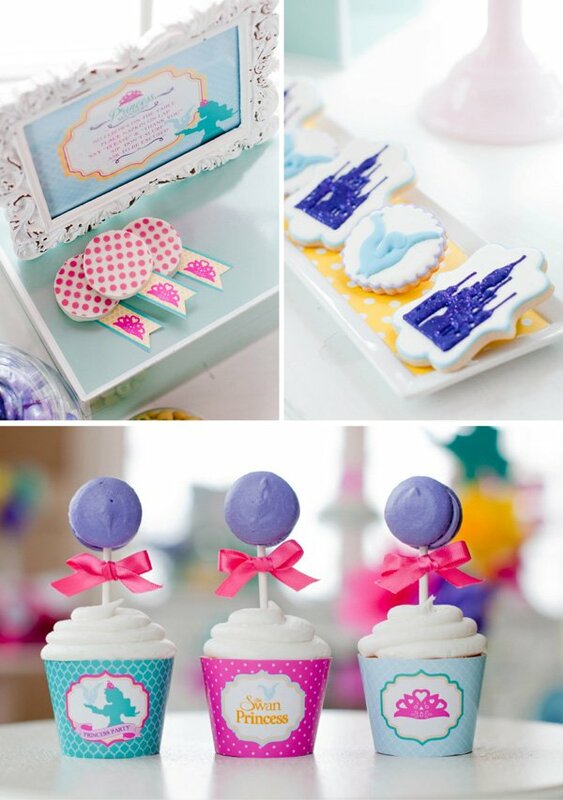 Sugary Sweet Cupcakes & Treats made the most gorgeous sugar cookies for the occasion. 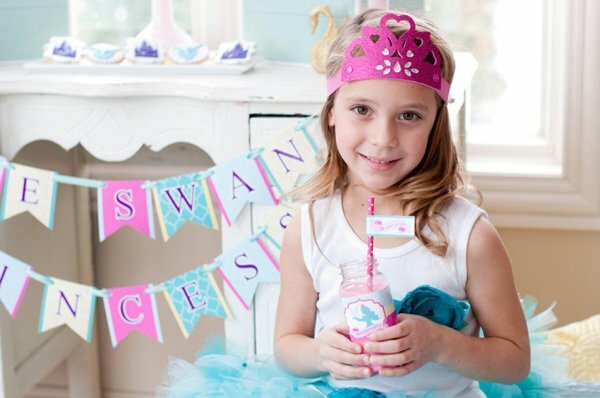 She designed swan cookies, castle cookies and more! 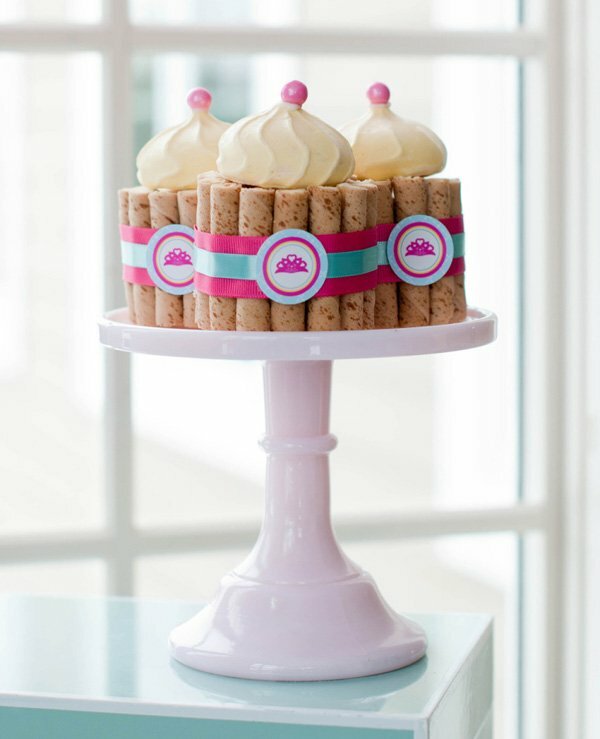 We displayed adorable pink polka dot white chocolate oreos from Sweeties by Kim and added a printable party flag for detail. Of course we added gorgeous candy from Candy Galaxy in apothecary jars for elegance. 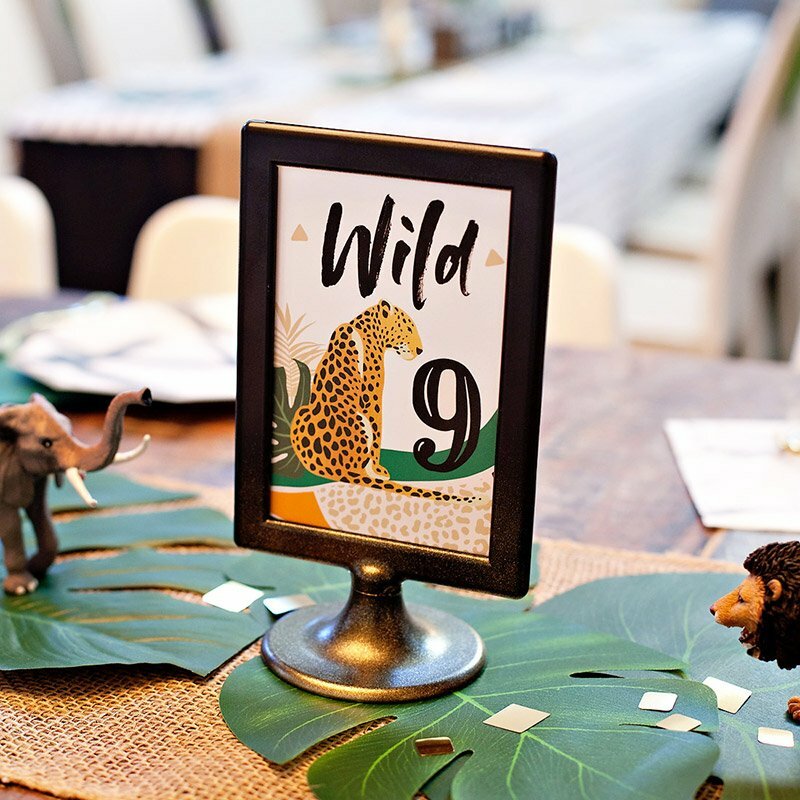 The decor over the dessert table was striking and so simple to display. Most of our decor was DIY, including these whimsical sparkly tissue flowers that were hung over the dessert table using clear fishing line. 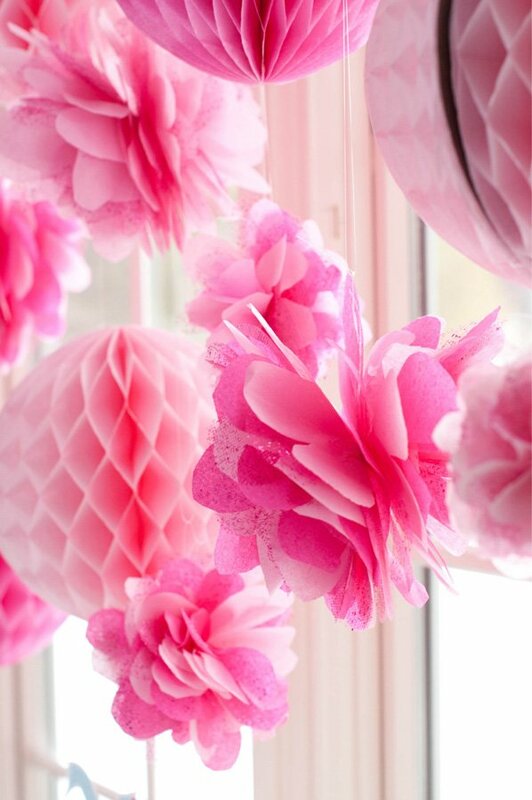 The pink honeycomb balls are from Shop Sweet Lulu and tied in perfectly with the gorgeous pink tones from the party. Adria and I always love coming up with fun new desserts, so for The Swan Princess party, we decided to create a no bake Royal Princess Cookie Castle. It was so simple and looked so elegant for the princess theme. (And we didn’t even have to turn on the oven!) 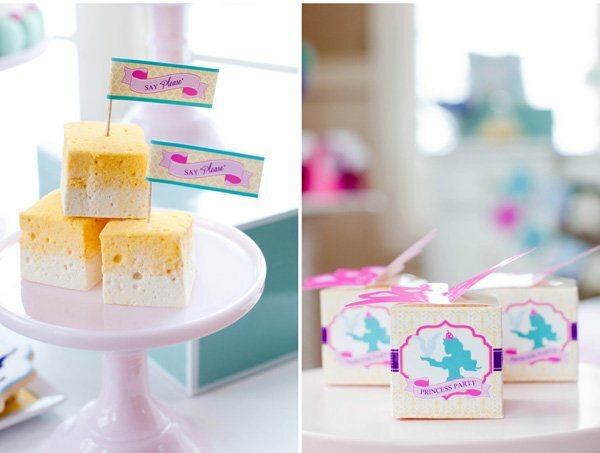 Yellow Ombre marshmallows from Madyson’s Marshmallows were stacked and we put cute little party flags in them to add detail. 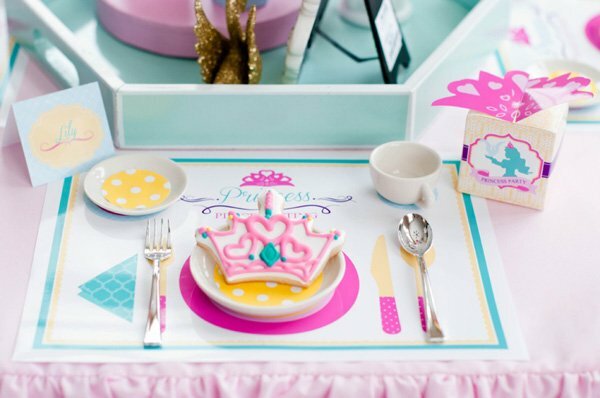 We lined the precious little kids tea party set with party paper from Smashcake & Co. It helped add a pop of color and was adorable! We also used the party paper to line our cookie plate on the dessert table. It is a wonderful way to add color to your basic white platters! 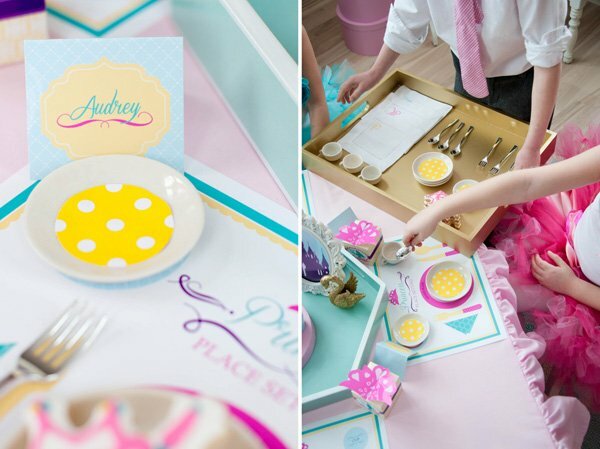 The Princess Place Setting Printable Placemat was a huge hit with the kids! This ended up being part of the activity as we taught them how to set a table. 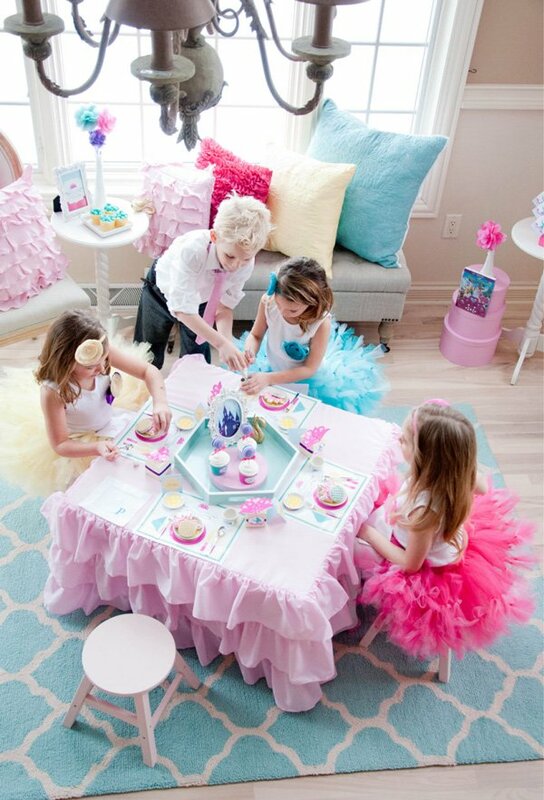 They loved learning about the proper way to set the table and how to act like a princess. 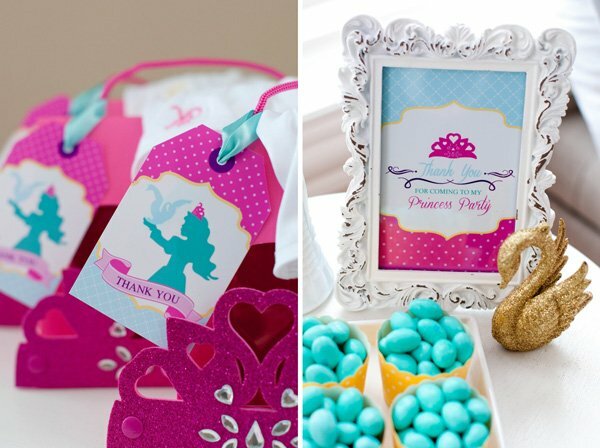 Each girl also had an adorable crown topped favor box, which is also included in the printables collection. Great Stitch embroidered small white linen napkins with the kids’ initials on them. It looked so pretty at the place settings and felt more “royal” than typical paper napkins. 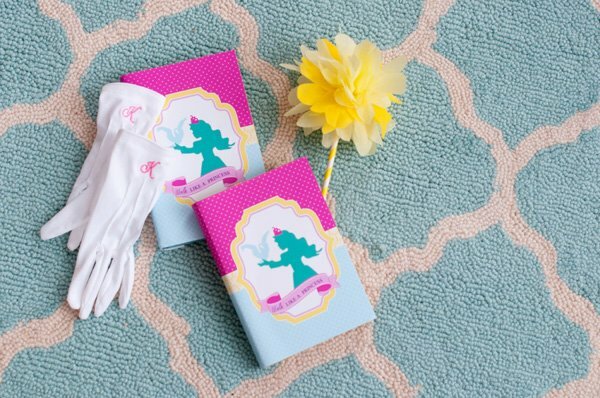 She also made custom embroidered princess white gloves. The girls looked so precious and felt so royal in their entire outfit. 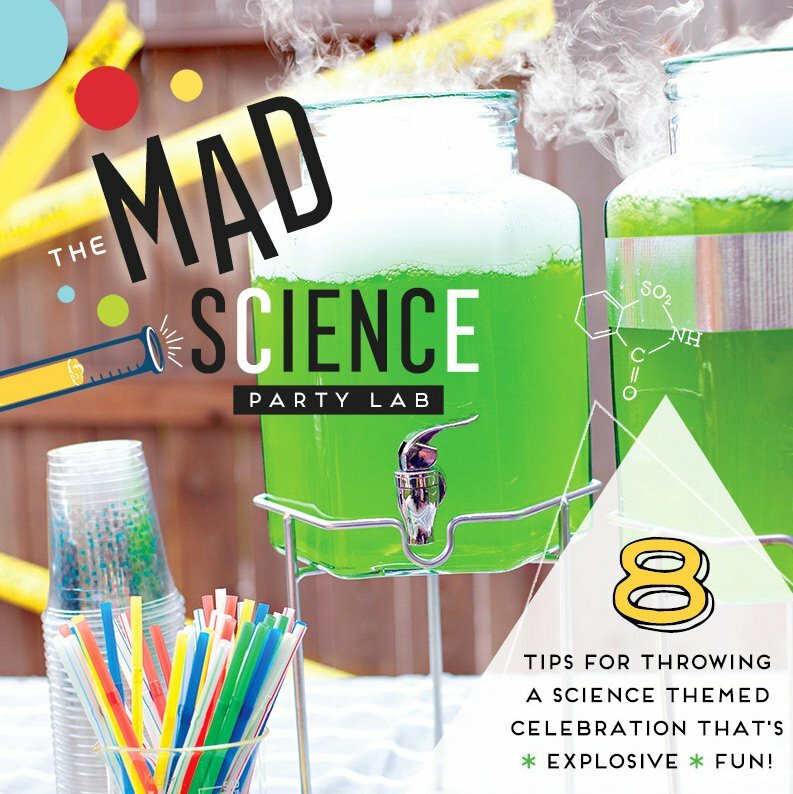 We used the printable drink wraps on plastic drink bottles with party flag adorned paper straws (from Smash Cake & Co) to serve strawberry milk. 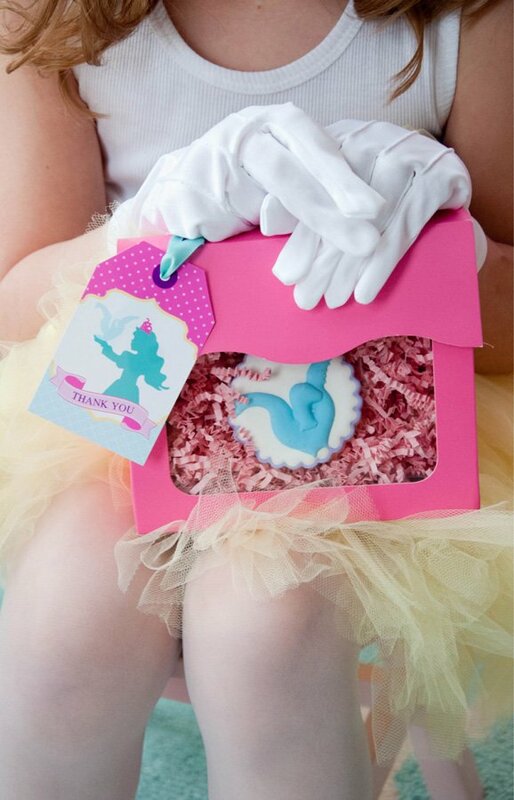 Our little princesses had to go home with something pretty, so we sent them home with memorable favors. Nashville Wraps has the most precious pink favor boxes that look like little purses. We put shred inside with some of the Sweeties by Kim cookies and sugar cookies from Sugary Sweet Cupcakes and Treats. 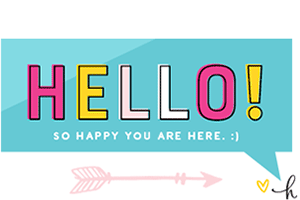 We finished it off with a printable favor tag. All in all, I’d say our princes and princesses had a wonderfully royal time! 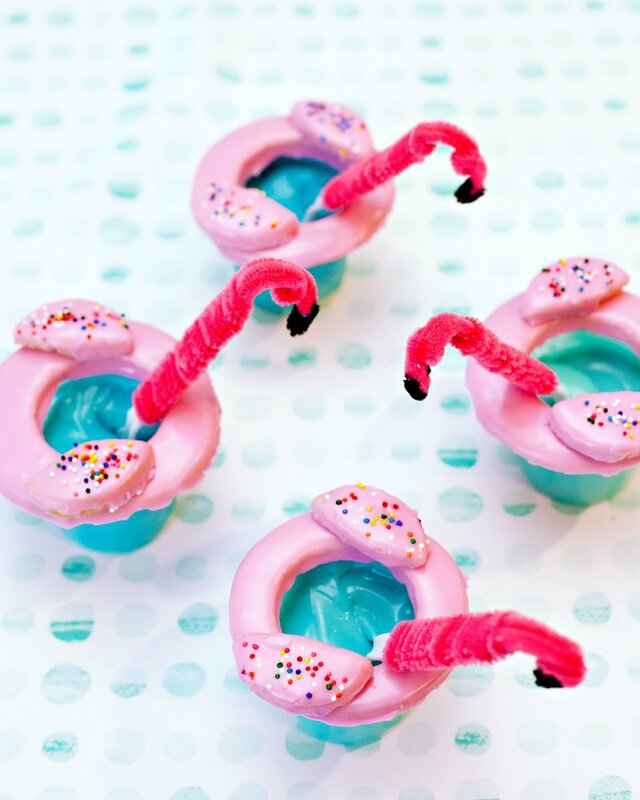 Paper Straws, Patterned Party Paper, Baking Cups: Smashcake & Co.